Now, I know several of you are snickering in the background or rolling your eyes at my idiot crusade to bring a few good indie works to light. And, believe me, I understand why you’d do that. Several years into this, I have to admit that I’ve probably stopped reading more indie stories than I’ve finished, but if I don’t share those triumphs and failure, then no one else will know whether these self-published stories are worth investing their time into or not. And, today, I’m happy to share with you a triumph! With Infinite Waters, Nicholas C. Rossis has put together another imaginative, quirky, and eclectic collection of speculative fiction short stories in the mold of his previous offering The Power of Six. Focusing mainly on characterization and twist endings, Infinite Waters uses the structural trope of unconnected tales being told to a character to give it a cohesive feel, as the author dazzles readers with tales of the bizarre, the cynical, the comical, and the shocking. And it was a journey I definitely enjoyed. Instead of attempting to describe each of the ten short stories included here without spoiling them, I will instead focus on a few of my very favorites. In “Infinite Waters”, a young woman visits a fortune teller desperate for validation regarding her dream of becoming a famous writer. As the overarching story holding the entire collection together, readers return to this narrative throughout (generally between each new story), and while adding cohesion to the whole, it also serves up an unexpected ending. “The Things We Do For Lust” is a classical tale of a wife reconnecting with her husband upon his return from war. While it is clearly set in ancient Greece and plays around with mythology, the twist at the end is pure magic. Or is it? “Two’s a Crowd” sees twin brothers at each other’s throats. One sibling viewing the other as his most bitter rival; a person who has lived his life to exceed him in every way. This bitter sibling antagonism taking a shocking turn — though the ultimate really isn’t. As with all Rossis’ works, the strength of Infinite Waters is the fast-paced, easily digested writing style of its author. Mr. Rossis providing quick character development, thought provoking concepts, and zinging conclusions (which always surprise you in some way) written to be appreciated in one quick sitting. Having read several of Mr. Rossis’ books and considering myself an appreciator of his talents, the only negative I can point to in this collection would be the tendency to pull the shocking conclusions out of thin air rather than slowly develop and foreshadow them throughout the narrative. Nothing fundamentally wrong with this approach to story telling (since it definitely increases the surprise factor of reveals), but, at times, it did cause several of the endings in this volume to seem only tenuously connected with the rest of the story. An eclectic blend of paranormal, science fiction, and other genres, Infinite Waters is another Nicholas C. Rossis work not to be overlooked. With its humor and twists, lovers of inventive, entertaining speculative fiction will find their small time investment in this book rewarded many times over, as Rossis proves yet again his special affinity for the short fiction form. 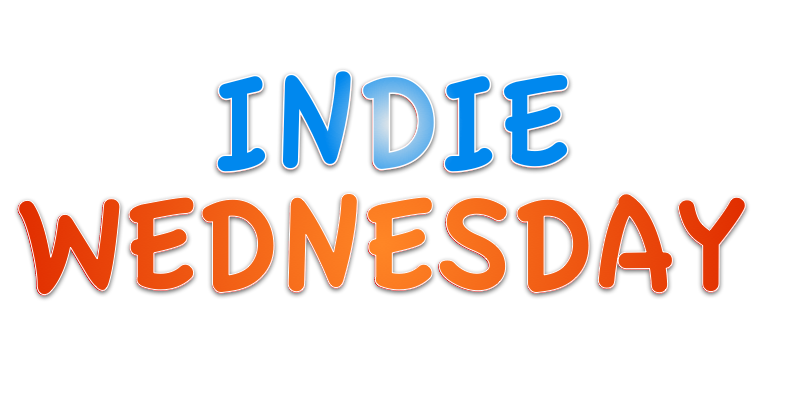 This entry was posted in 3 Stars, Indie Wednesday, Self-Published, Short Stories and tagged Indie authors, indie science fiction, indie wednesday, Infinite Waters, Nicholas C. Rossis, Nicholas Rossis, Pearseus, Rise of the Prince, speculative fiction short stories, The Power of Six. Bookmark the permalink.